Trollin' Nyan Cat. 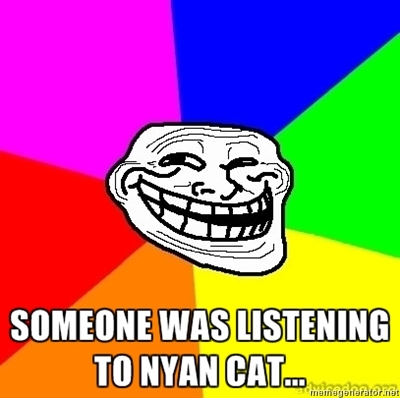 OH HELL YES.. Wallpaper and background images in the Nyan Cat club tagged: nyan cat lol rainbow nyan cat troll face. This Nyan Cat photo might contain venn-diagramm, venns diagramm, venn diagramm, das venn-diagramm, anime, comic, manga, cartoon, comic buch, karikatur, and comics.